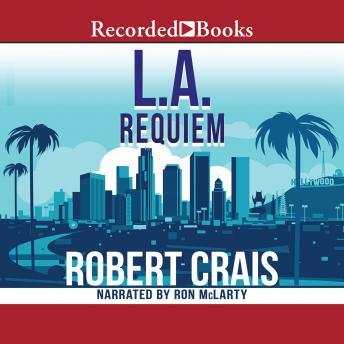 Edgar Award nominee Robert Crais' L.A. Requiem is a gritty, harrowing look into the minds of a serial killer and the men determined to stop him. Elvis Cole and former cop Joe Pike have been partners in a detective agency for 12 years. After an ex-girlfriend of Pike's disappears, the girl's father asks them to help the police with the search. When the missing persons case turns into a hunt for a killer who has been stalking victims in Los Angeles, Cole and Pike find themselves battling both a hostile police department and a madman. Ron McLarty's masterful narration subtly builds a sense of Cole's and Pike's growing desperation to find some link between the victims as the body count continues to grow.